In this study, the construction of a forecasting model, using intracellular fatty acid composition as indicator, was attempted to assist in the search for yeasts capable of producing 3-hydroxy oxylipins. 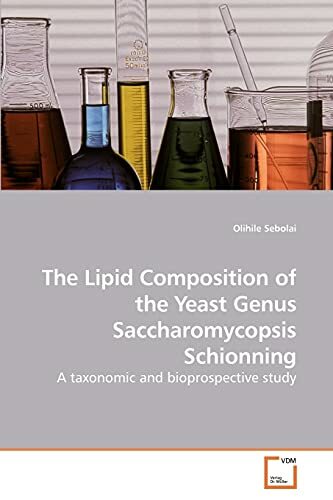 In order to achieve this, it was first attempted to establish a database mapping the distribution of fatty acids (FAs) associated with the neutral-, glyco- and phospholipid fractions of the 10 species representing the genus Saccharomycopsis. It was possible to identify nine of the 10 species. Although it was possible to differentiate between most species using this phenotypic character, these FAs could not be used to predict what kind of 3-OH oxylipins these species are capable of producing. As observed in S. capsularis and S. javanensis both produced 3-OH 9:1, fatty acids with uneven carbon atoms which may serve as precursors could not be detected in the neutral-, glyco- or phospho-lipid fractions.